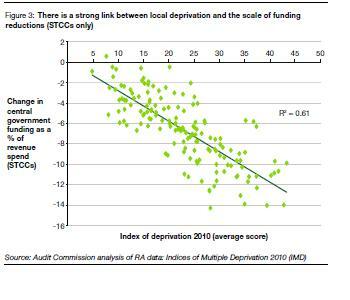 It’s official: The Audit Commission has just published research showing that ‘deprived areas have been the hardest hit’ by public spending cuts…. of revenue spending are in urban areas in the north, the midlands and inner London. 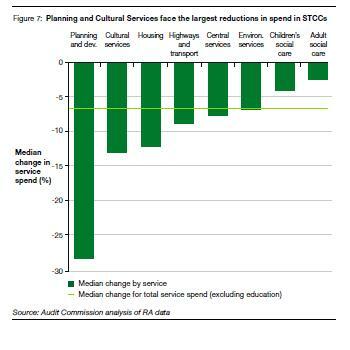 Within local authorities, cuts are not uniform (see below). planning and development; housing and cultural services are worst affected. 40 per cent planned to reduce some service standards in environmental services, and in highways and transport. Not if you are poor. Not if you are reliant on public transport. Thanks for highlighting these facts.